I have to set the record straight about being a WAHM. I get told all the time how lucky I am that I get to do my job in the comfort of my home, how fortunate I am to have a career that gives me the opportunity to work at home with my child and spare me the extra $60 per day of daycare. These comments aren’t wrong. I truly am fortunate to have this option, and I have saved a bundle on daycare. But the honest-to-God truth is that as much as I am “blessed,” I’m equally as stressed. Yep, “too blessed to be stressed” does NOT apply in the case of being a WAHM. 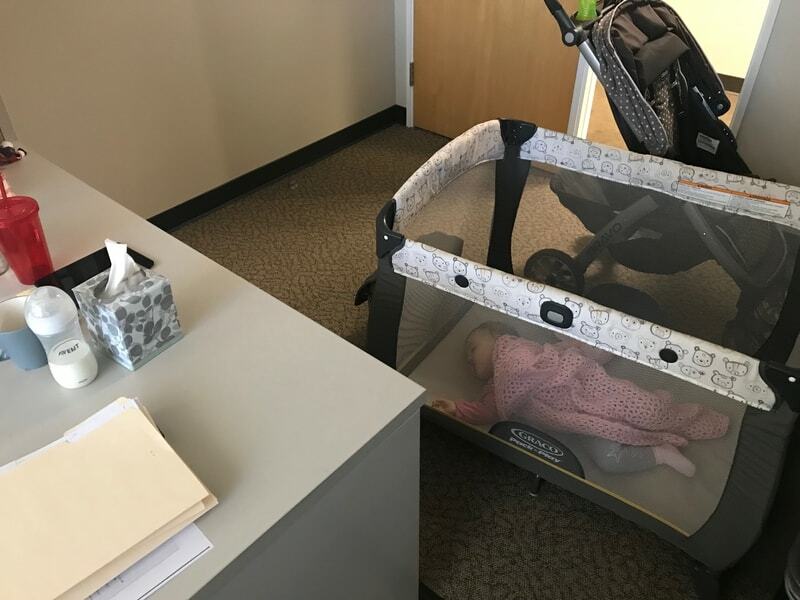 Just like all wonderful opportunities in life, there is a catch, and working from home with your child is no exception. 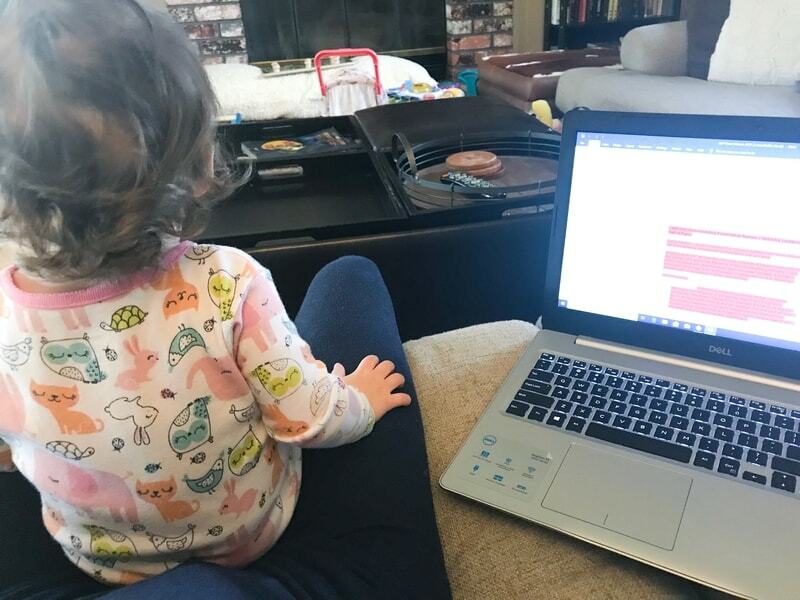 I work at from home with my 1.5 year-old, Molly, on Monday’s and Friday’s, and those days are by far the longest, most gruelling and stress-filled days of my work week. I wake up at 6am to get an hour’s worth of emails answered and tasks aligned for the day. At 7, Molly wakes up, demanding milk and breakfast almost immediately. 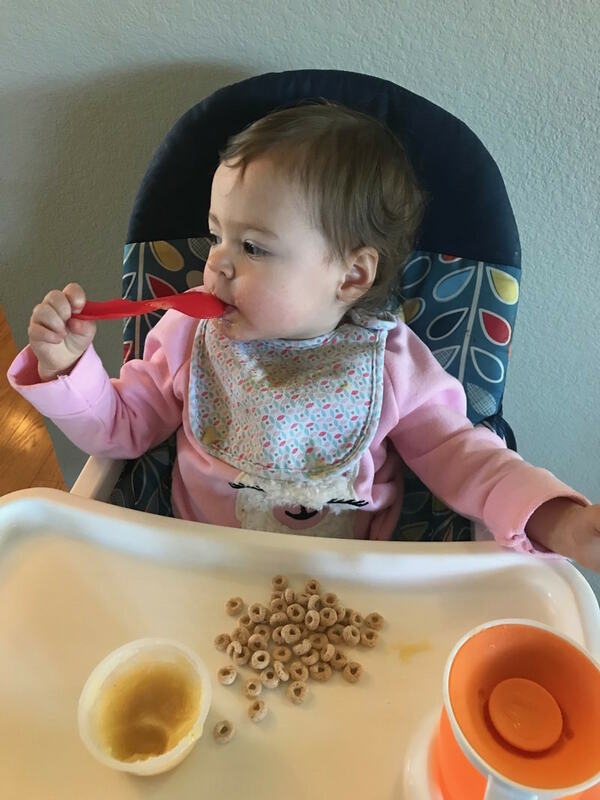 I cook, I have about 15-20 precious minutes to answer more emails while she eats, I clean up, I wipe faces and high chair surfaces, and it’s back to the grind - the grind of keeping my kid alive and out of trouble, that is. I sneak in some data analysis (my job is researching homebuilding statistics) while Molly plays, and if I can get her to focus on coloring for an extended period of time, I can actually get some data entry done as well. Needless to say, some days are easier than others. Some days, Molly will sit quietly playing with her toys for 20 minutes at a time (Lisa taught me the “20-Minute Rule”: spend 20 minutes interacting with your kids and 20 minutes working, so they can foster independent play skills). Other days, Molly is throwing a Stage 5 meltdown in my home office, because I won’t let her play with my computer keyboard, while I put every ounce of trust into my phone’s Mute button to salvage what’s left of my professional integrity. Other days, I have to wipe boogies and bums while on conference calls. 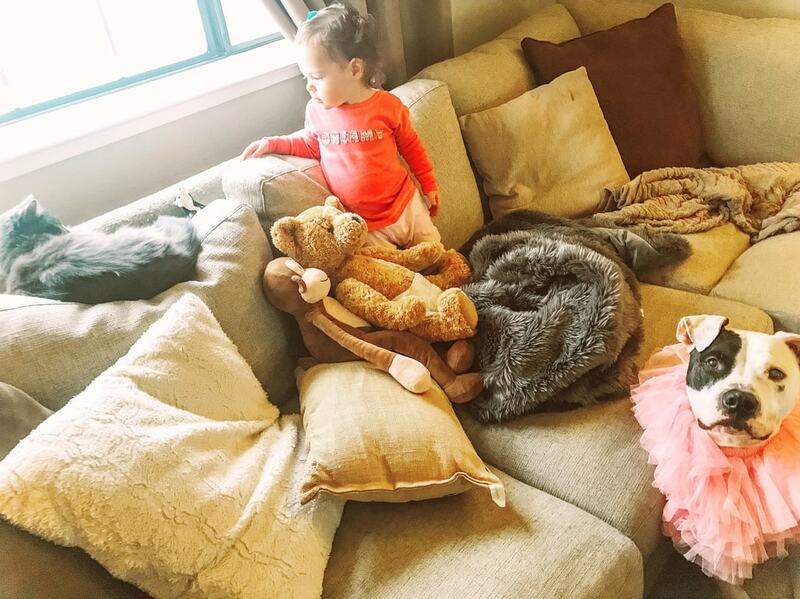 Other days, I’m taking a client’s data order, while “Baby Shark” blares in the background, the kid is jumping on the couch, about to plunge to her death, and the dog is somehow wearing a tutu. It feels like these “other days” are more frequent than the “some days,” but I take them as they come and try to roll with the punches. There is one glorious part of my work-from-home day: naptime. Naptime is my savior. I WORSHIP naptime. That’s a solid 2, sometimes 3, hours of work I can complete, (hopefully) uninterrupted. After naptime, we go to the park or play in the backyard (if the weather is nice), or *gasp* I even let my kid watch TV! Yes, my child has been exposed to the dreaded TV. Looks like my “Mom of the Year Award” is being revoked. I don’t heavily rely on television, but we do let Molly watch it (and, I swear, the ABC shows on YouTube have actually helped her verbal skills.) Sometimes (aka, conference call times), the TV is also a savior. 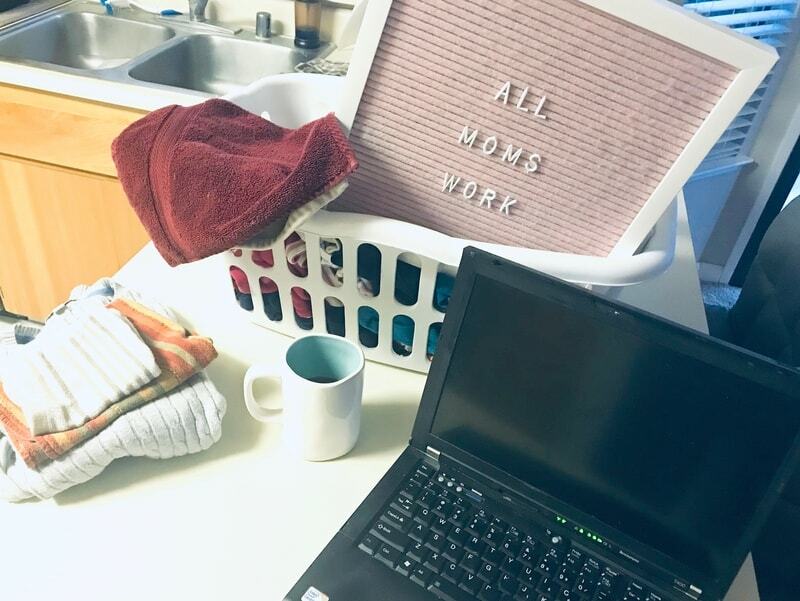 I cook dinner, I clean up, my husband usually handles bed and bath time, and once he takes over for me, it’s back to work. Yep, I still have to make up those lost hours after naptime through bathtime, so I work from 7-9, sometimes 10 pm, depending on how much needs to get done. And that, ladies and gents, is my typical WAHM day. I’m exhausted just writing about it. The convenience of not having to leave my house is the high point and the rest is a circus-level balancing act. Intertwining work with being a mom is truly double-duty, leaving you mentally and physically drained when the day is done. We have to stop glamorizing working at home with kids, or assuming that WAHMs have it made. I tip my hat to other WAHMs that do this 5 days a week; I can barely handle 2! However, I have discovered some ways to make working from home easier. I’ve learned to meal-prep for my kid. Sounds crazy, but preparing all her meals and snacks the night before really shaves off some cook time on WAHM days. I also try to take 3-5 minutes the night before to write down a list of what needs to get done the next day and the best times to complete them. Scheduling even the most basic tasks, like checking emails, taking the dog for a walk, calls, etc., helps relieve the mental load of trying to remember everything the next day. Lisa wrote about this and even included a FREE worksheet on her Fuel For Success From a WAHM article that you can download and start using. Having nursery rhyme Pandora on in the background also keeps Molly entertained and her brain engaged. I bought her alphabet and numerical flashcards, too, and we go over them during our interaction time. The bottom line is, you CAN make WAHM life work, but in all honesty, it’s much harder than people realize. It’s multitasking at its most intense, without a break, and very, very long days. 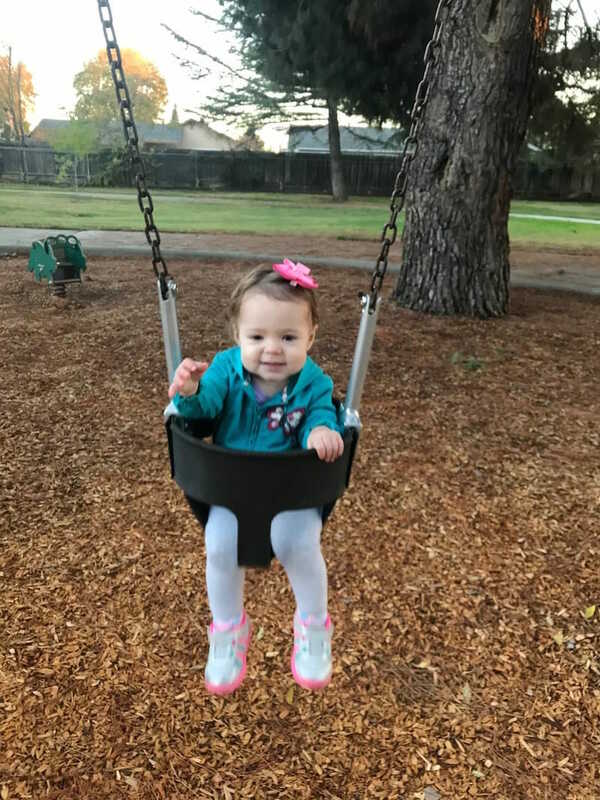 When Molly is in daycare or her grandma is watching her at home, I can put 100% of my focus on work when I’m in the office and get everything done during normal business hours, so I can actually relax when I get home after Molly goes to bed. Then on weekends and holidays, I’m 100% focused on Molly and the house, which can also be highly chaotic, but overall, I do acknowledge my good fortune of balance between work life, mom life, and that crazy combination of the two. Well, that’s a blog post for another day.